The bridge across the Waal river near Ewijk is beautiful, but its capacity is proving inadequate. To improve the flow of traffic and accessibility, the road between the Ewijk and Valburg intersections has been widened. 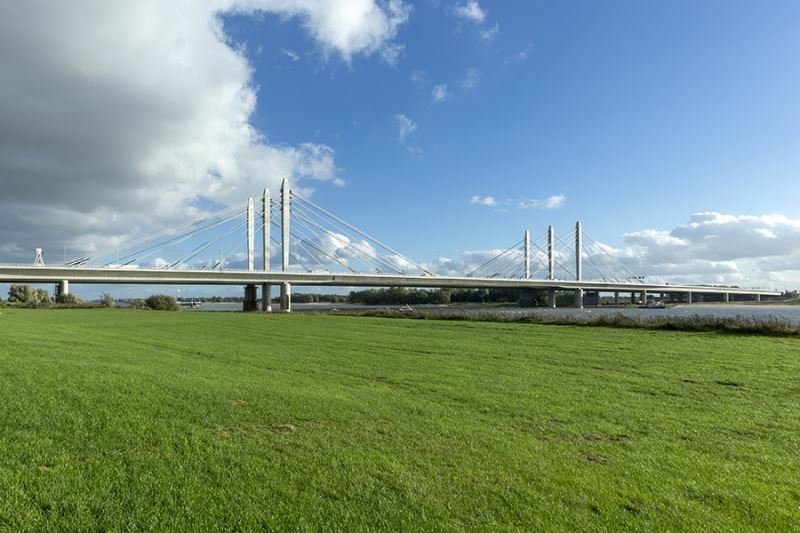 For this, an additional bridge over the River Waal has been built alongside the existing Waal Bridge. The design by Quist Wintermans Architekten BV forms a unit with the existing bridge. 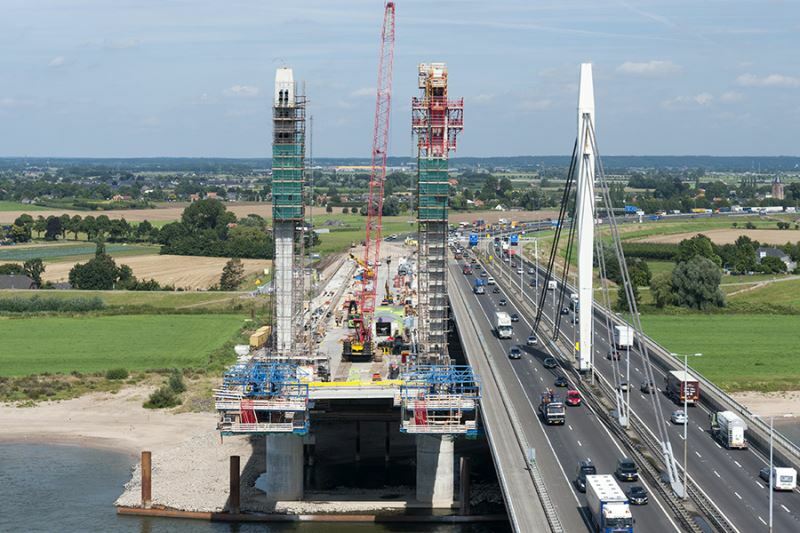 Like the old bridge, the new bridge has characteristic pylons holding the road surface in position by means of cables. The shape and height of the six pylons that lend the bridge its appearance are the same for both bridges. But the bridges are not identical with respect to the material. The existing bridge is made of steel and the new one of concrete. The choice of material results in a different number of cables and a in a different thickness of the cables. The new bridge has a different structure. 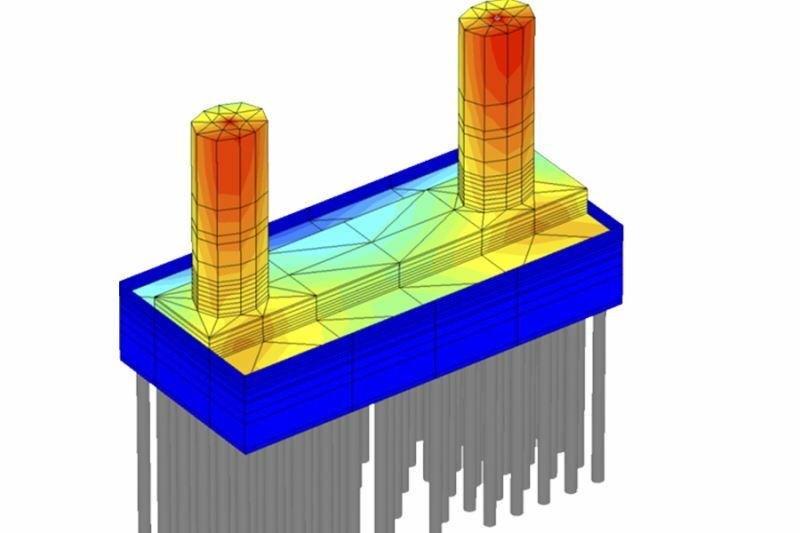 For example, the new bridge has edge beams connected to each other using cross beams. The road surface lies on top. 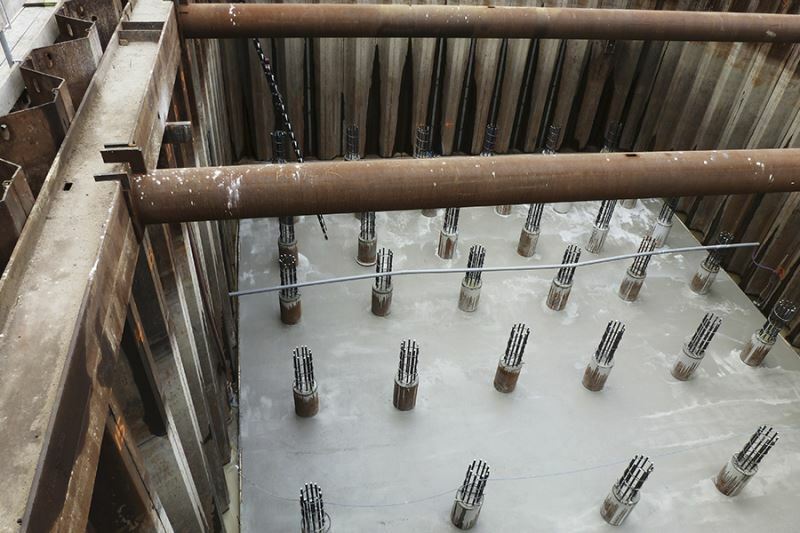 ABT is involved in the construction as structural and geotechnical consultant to Waalkoppel (Dywidag, Mobilis, Van Gelder) construction consortium. 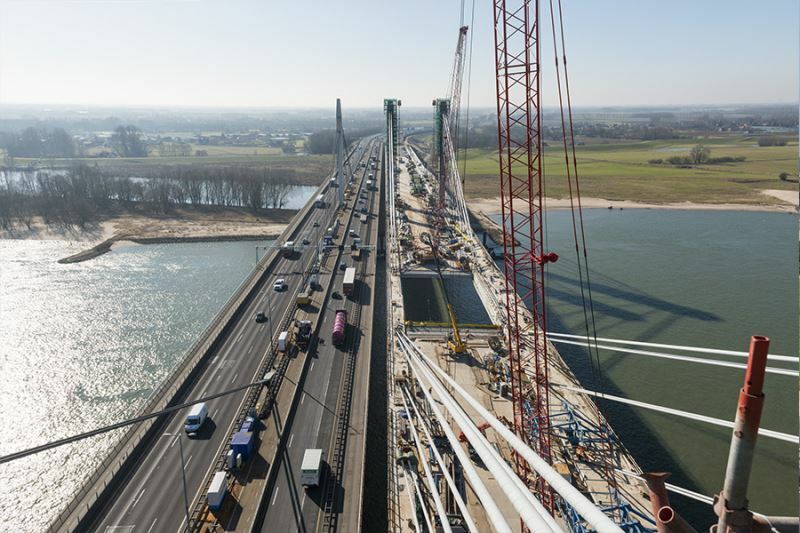 These consultancy services involve among other things the design of six new viaducts, eleven existing viaducts to be widened and strengthened, the erection of noise screens and the foundation and substructure of the new Waal Bridge.